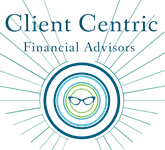 Kelli Gargasz and Client Centric Financial Advisors chose to partner with Stratos Wealth Partners to offer clients what Kelli believes to be a clear industry advantage; access to the resources of a national firm being delivered at a local level. This model provides financial advisors organizational depth of knowledge, research and expertise allowing them to serve a broader spectrum of client needs. Through innovative thinking, insightful guidance and practical advice your financial advisor has access to vast resources helping her in developing the custom strategies you seek and the unparalleled service you require. Stratos Wealth Partners is headquartered in Beachwood, Ohio and has more than 125 LPL Financial affiliated wealth advisors in 87 offices located in 28 states throughout the USA. We boast an infrastructure of an additional 75 executive and support specialists, all of whom assist our advisors in the execution of services and strategies for our clients. Our significant scale and national resources enable our advisors to deliver the highest caliber service, select among the industry’s broadest product platform and develop truly innovative strategies as they build long-term, personal client relationships on a local level. Jeffrey Concepcion, Founder and CEO, launched Stratos Wealth Partners in November of 2008 to fulfill a growing need among experienced, sophisticated advisors and their accomplished clients. Jeff, like many others, had become increasingly dissatisfied with existing brokerage models that made it more and more difficult for advisors to place their clients’ interests first. Stratos Wealth Partners provides advisors and their clients with a distinctly different wealth management experience. One that effectively elevates all aspects of the financial and investment management experience for clients seeking more personalized concierge level service and innovative thought leadership. Stratos provides access to a wide range of financial products and strategies available in the marketplace today without the restrictions commonly found in many large brokerage firms and investment banks.